Manchester United have reportedly started negotiating with Antoine Griezmann over a January move to Old Trafford using his close relationship with Paul Pogba. 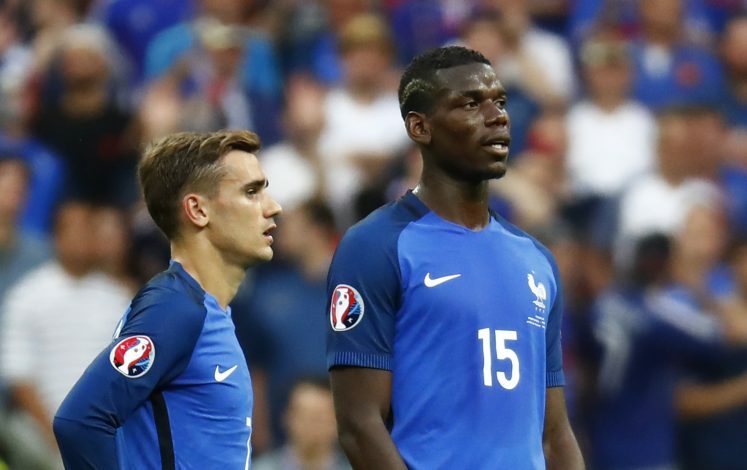 Everybody knows how close Pogba and Griezmann are being teammates for the France national team. The duo has developed a close friendship despite playing for two different clubs over the recent few seasons. Both of them played a key role in France’s surge to the final of Euro 2016 last summer. Last year there were several reports claiming that Griezmann was trying to convince Pogba to join Real Madrid so that he could join the Atletico Madrid striker in La Liga. But Pogba ultimately ended up departing Juventus for a £89 million return to Old Trafford. And now, Spanish newspaper Don Balon reports the roles have been reserved, and Pogba is trying his best to lure Griezmann to Manchester United. The 23-year-old French sensation is believed to be in regular contact with his compatriot, and is keen to link up with Griezmann in the Premier League. Pogba is even trying to persuade the Atletico star to make a move this month. Yet Griezmann is said to be quite happy at Atletico, and has made it clear in recent times he will only evaluate his options at the end of this season. According to various report, the Old Trafford hierarchy is ready to tempt the French international with a mega money offer in line which would be equal to Paul Pogba’s wages. United would reportedly pay Griezmann €250,000-a-week – an amount which is believed to be similar to what Pogba earns.